We have provided our last training session to a customer today and the customer's Data Center Operations Manager was very thankful for our DC Insight solution. This solution exceeded their expectation and it provided unprecedented visibility and insight into their data center. They have deployed 300+ sensors to cover 4 sites in Hong Kong, and the DC Insight software provide a straight-forward user interface for their operators. Our solution completely transformed the way they operate, from an reactive organization to an proactive one. Before the deployment of the DC Insight platform, they are plagued with incident where it was the end-user who are the first to know their service was down! Today, the DC Insight's centralize and easy to customize thresholds settings allow them to iterate and fine tune their notification mechanism such that every alert they receive are important alert. Our data logging and strip charts allow any authorized operator to quickly look back at historical data to analyze the situation. With the readily-accessible data, they can take a data-centric approach to support their investigation. 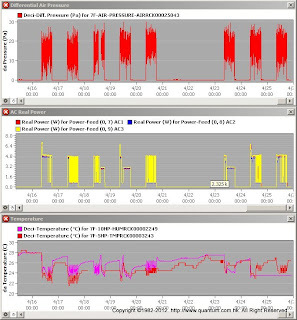 In this particular case, the customer share with us how they were able to quickly look back at the pass performance of the cooling unit (look at the supply and return air trends) and push for a thorough investigation of the unit by their supplier, where it was eventually found their were hidden problems with the unit. We understand customers don't want silo systems and we take great pride in the interoperability of our solution and the integration services we provide. 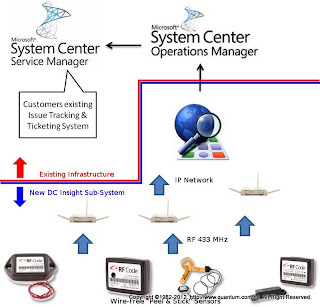 For this particular customer, we integrated DC Insight into their existing incident management solution, Microsoft System Center Service Manager and connect to their Micosoft System Center Operation Manager system. This integration was very important for our customer to simplify the adoption by their operational team and it was really rewarding to learn that not owner are the project sponsors happy with the result, the operation users also found the new tools very helpful in managing their data center day-to-day activities. Wraps up an exciting 2012 Q1 and DC Insight in other industries? Last quarter of 2011 and Q1 of 2012 was an exiting 6 months for us. In this 6 months, we have wrapped up a major roll out of our DC Insight solution for an electricity provider in Hong Kong covering 4 our their data centers in Hong Kong with hundreds of sensors deployed. We are also seeing an interesting development of our solution branching out to other verticals outside of data center. For example, the cosmetic manufacturer is looking to achieve ISO standards for their existing manufacturing processing. Their site contains multiple clean rooms where their manufacturing equipment are located. Historically, they monitoring their temperature and humidity through standalone devices and requires a laborious process to physically log down the readings of each device in each clean room. With our wire-free approach, this customer can just installed one reader to cover their manufacturing site, which is around 2,000 - 3,000 sq ft, and place sensors anywhere they see fit or required by the ISO auditor - all without interrupting their manufacturing operation. 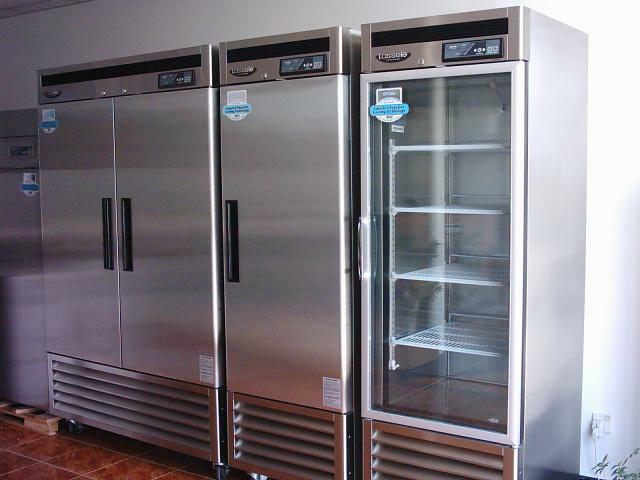 Another partner from the commercial refrigerator business approached as and is interested in our solution to provide centralize monitoring for commercial refrigerators for large restaurants and hotels. It is interesting to learn that large restaurants often have an area with multiple commercial refrigerators installed. An these areas are usually around 2,000 - 3,000 sq ft, making traditional wiring solution costly and difficult to deploy, but in our case, a single reader can nicely cover the whole area. Our partner also shared an interesting angle on the correlation of food poisoning, even at high-end expensive restaurant, and the lack of proper monitoring. 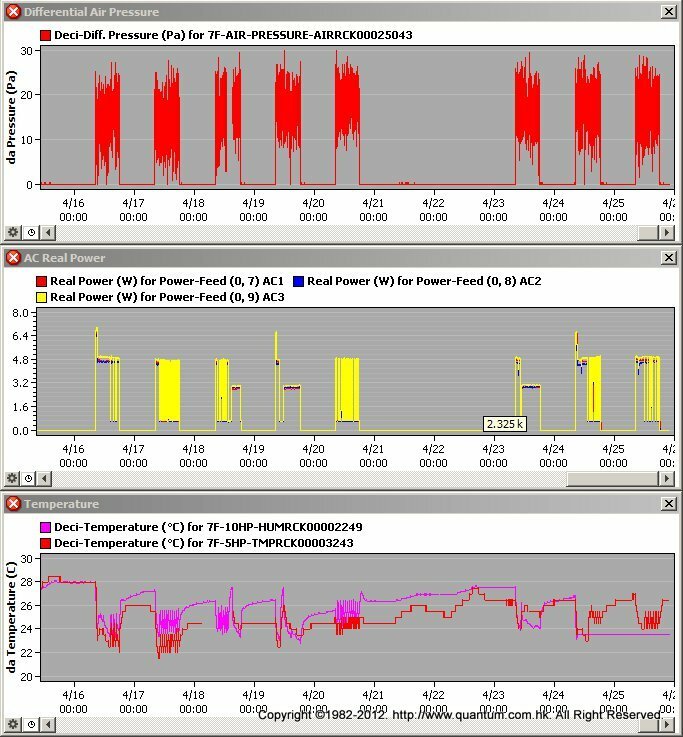 To this day, all these commercial refrigerators have standalone monitoring but lack a centralize approach with alerting. What this means is again, a laborious process of having staff manually take note of temperature and humidity every couple of hours. No wonder at this day and age, food poisoning in the food and services industry is still a norm. As we further develop our solution, it will be interesting to explore what other industries it can be applied on. While our traditional complete on-premise approach may not be applicable or cost-effective, technologically speaking, it is not difficult for us to offer a hosted service, where only the end-point monitoring devices are on-site, and the software runs in the "cloud". It will be interesting to explore setting up this cloud-based service, but this will be a topic for another post.